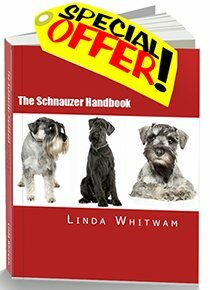 Think you know your Schnauzer from your Schnoodle? OK, here are Max's Dog Quiz No. 2 Answers. How many did you get right? C. Old English Sheepdog. McCartney's 1993 live album, Paul Is Live, features one of Martha's offspring on its cover. B. No. Like a human with red-green color blindness, dogs are unable to tell the difference between red and green. However, they are able to tell yellow from blue. Their detailed vision is not as good as ours, but they make up for this by having much better night vision and greater sensitivity to movement. A. Germany. The Schnauzer originated in southern Germany probably in the 15th century. In those days tradesmen and farmers travelled the countryside selling their wares at markets. They created the Schnauzer as a versatile dog which could guard the cart as well as keep down the vermin back at home. A. Argos. According to ancient Greek literature, the aged dog wagged his tail at his master and then promptly died. A. Their paws. Contrary to popular belief, dogs do not sweat by salivating. They sweat through merocrine glands which are located in the pads on their paws. D. 200 million. Dogs have 40 times as many scent receptors as us, so it's important that their food smells good. However, dogs do not have as many taste buds as we do. They have about 1,700 on their tongues, while we humans have about 9,000. D. American Foxhound. Also called "the Pilgrim Father's Dog", the American foxhound dates back to the 1600's. George Washington received French Foxhounds (Grand Bleu de Gascogne) - which look similar to the American Bluetick Hound - as a gift from the Marquis de Lafayette. Many of the dogs Washington kept were descended from Brooke’s and when crossed with the French hounds, helped to create the present day American Foxhound. B. 21% (and Max is one of these!!) Only 7% of cats snored. 10 out of 10: Genius. OK, you win. Max will have to make his New Year Dog Quiz much harder. 7 - 9: There are no flies on you. Your canine knowledge has stood up to the test. 3 or below: Have you thought about getting a cat.....? If you want to receive Max's next Fiendishly Clever Dog Quiz as soon as it comes out, subscribe to our RSS feed by right clicking on the orange icon in the left margin. Return from Max the Schnauzer's Quiz Answers to the Home Page?